Acrovyn 4000 is a PVC free wall covering with a high level of impact resistance. 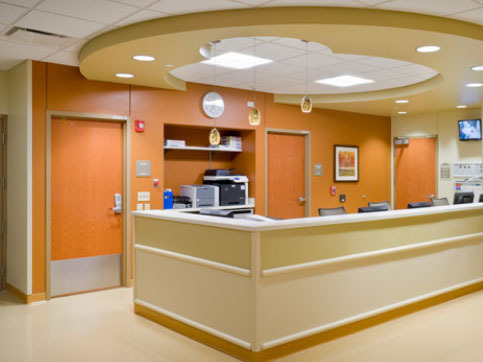 The wall cladding is ideal for interiors that endure harsh treatment such as hospitals, education establishments, hotels and retail outlets. The low profile texture provides a contemporary look while making the surface easy to clean and maintain. Acrovyn 4000 is offered in a 1.6mm thickness. The new Acrovyn Bright colour range is offered in a 2mm thickness. The sheet size is 3050mm x 1220mm and can be cut to any shape or size. Acrovyn 4000 is available in a vast range of colours and patterns, including solid colours, wood-grain simulation and faux metal effect. The sheets can be cut to custom shapes and sizes. This makes it easy to specify a wall protection system that meets clients’ needs and fits with the surrounding space. Acrovyn 4000 is a ‘through coloured’ product. When it comes to door design, not too many people would think to visit stock image websites as a source of inspiration. Want to get creative? Combine shapes and colours to achieve the desired effects or match existing interiors. Acrovyn 4000 contains no PVC or any other harmful chemicals, making it safe to use in interior spaces. Acrovyn 4000 is an impervious product that prevents stains and resists chemical damage. Good news for the environment – Acrovyn 4000 is 100% recyclable! The reduced surface texture of Acrovyn 4000 creates a smoother finish that is easy to clean and maintain. Acrovyn 4000 is strong and designed to last for many years. During its lifetime, it will significantly reduce maintenance costs. Acrovyn 4000’s credentials make this protective wall cladding a very popular choice for industry professionals.